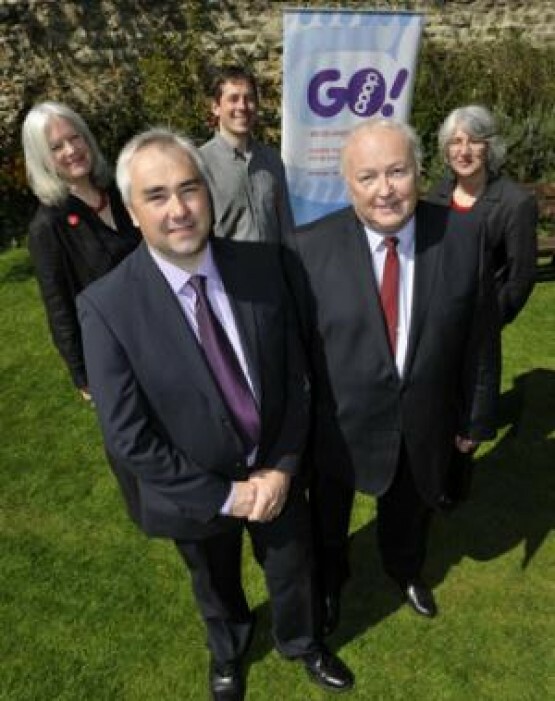 Four packed launch events heard details of Go! 's proposed first route as well as the associated bus services and car clubs which we aim to set up. CEO Keith Vingoe and Business Development and Operations Manager Chris Phillimore gave a detailed overview of where and how the services will be operated, whilst Go! Secretary Kate Whittle described the co-operative structure and how people can become members. Kate explained the two-tier membership structure, in which you can become a user-member for as little as £100 (payable in instalments) or an investor (non-user) member, for which the minimum investment is £500. See our Spring 2010 Offer Document for more information. You can become a member! Click here to download the Spring 2010 Offer Document, complete the application form and post to us with your cheque.